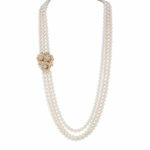 Mikimoto three strand nesting pearls with a diamond yellow gold clasp. 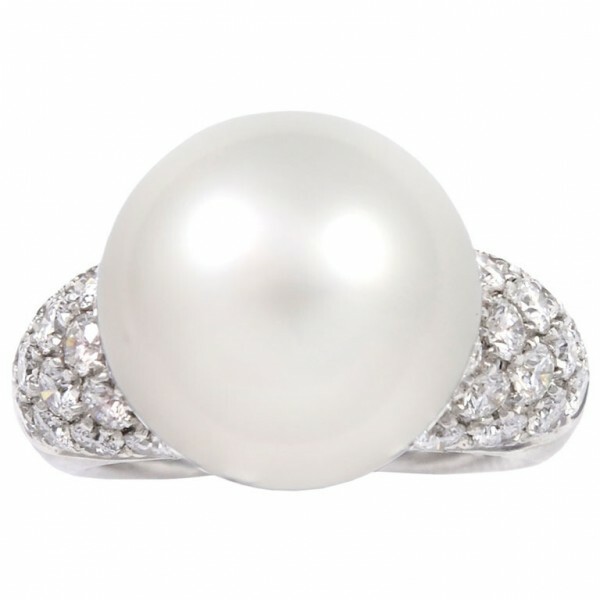 There are 285 cultured pearls, measuring 7.00-7.50 millimeters. 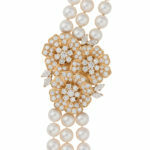 The clasp is made up of three connecting flowers, containing a mix of round brilliant and marquise shaped diamonds, weighing 4.10cts total.